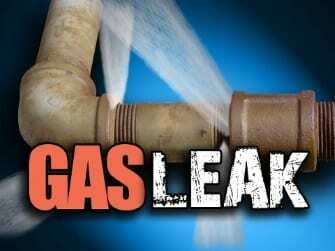 Emergency crews are on the scene after a gas leak was resported in Essex on Thursday evening. At about 5 p.m., firefighters responded to a residence in the 1600 block of Williams Avenue. There, authorities say a contractor accidentally struck a natural gas line. Firefighters can hear and smell natural gas coming from the home. There are no reported injuries and police have closed the road.